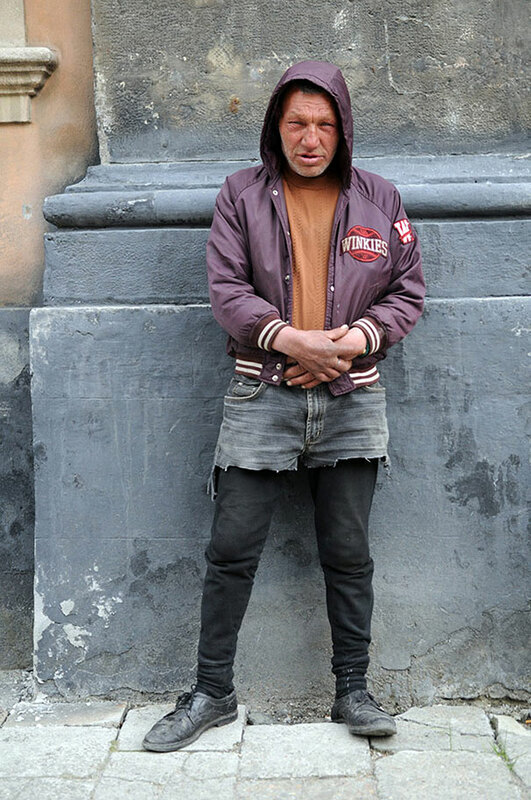 You don’t need to be rich to be a famous personality – the homeless, despite the many difficulties they face, can become welcome or even celebrated personalities in their neighborhoods and cities. 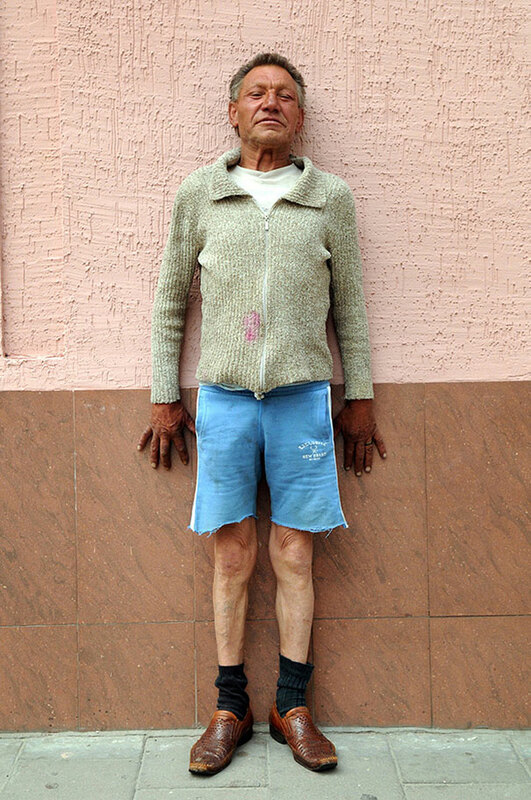 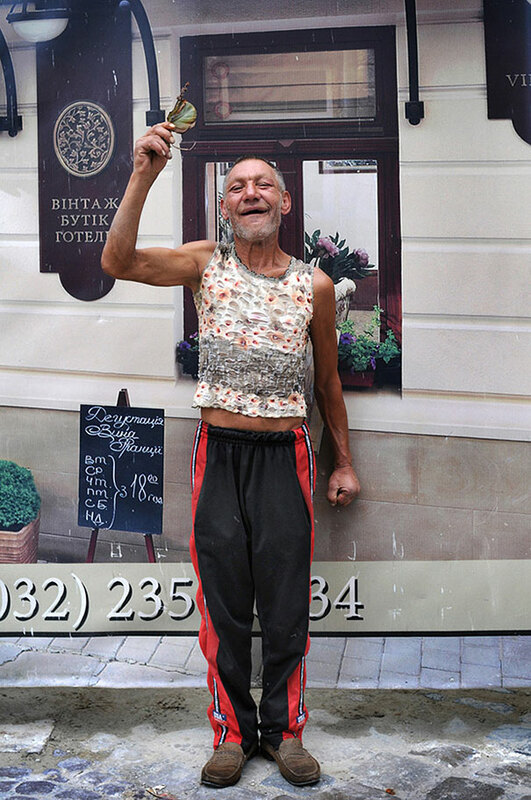 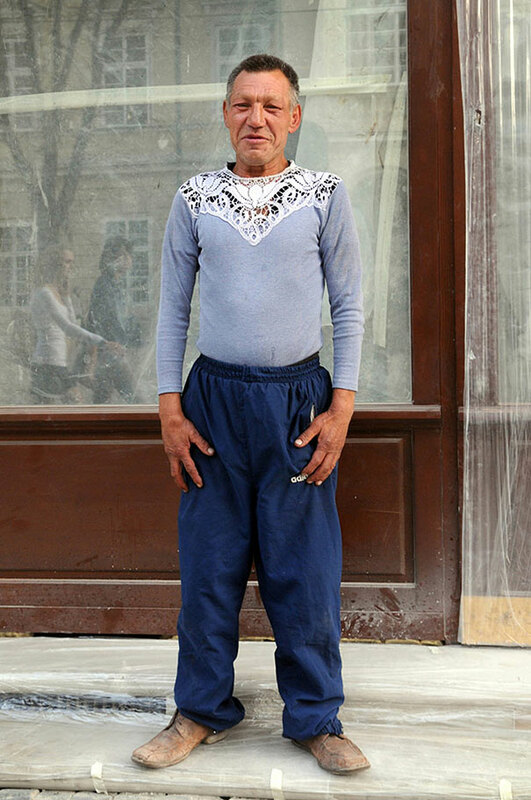 Slavik, a 55-year-old fashion-conscious homeless man in Lviv, Ukraine, is one such character. 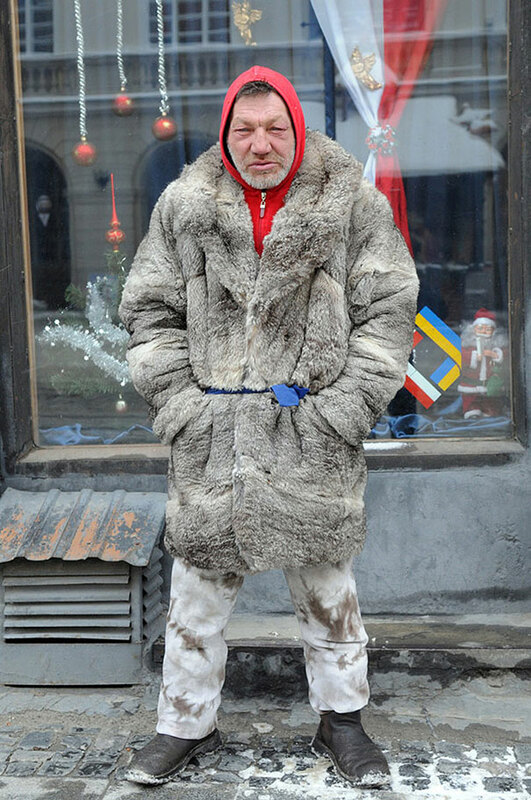 Slavik was noticed by Yurkov Dyachyshyn, a Ukrainian photographer who began photographing Slavik after a chance encounter and created a 100-photo series called “Slavik’s Fashion.” Read on between the photos for more information! 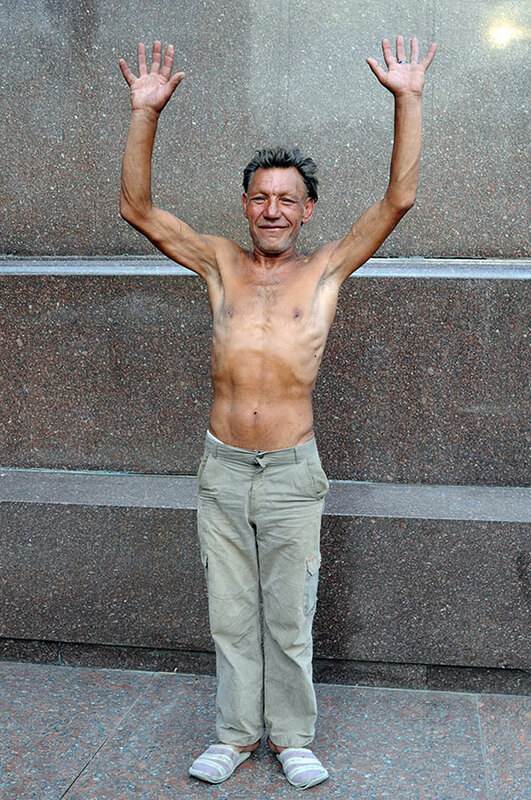 “Slavik is 55 years old. 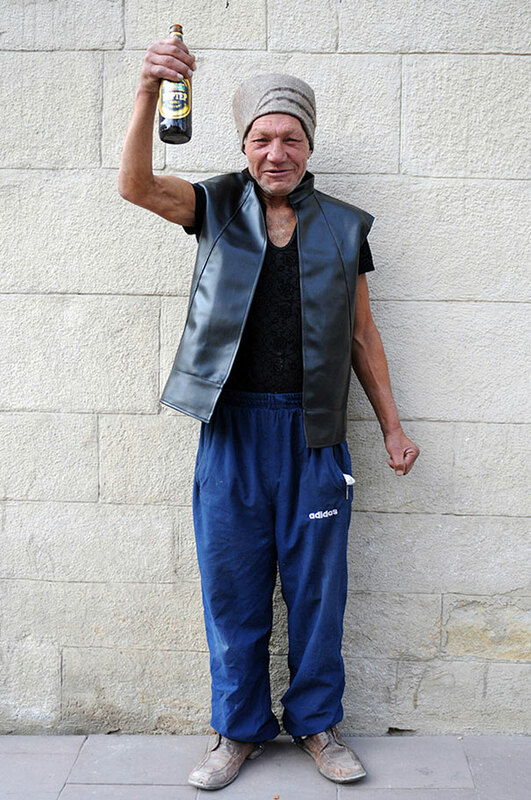 He is a homeless gypsy but not an ordinary one. 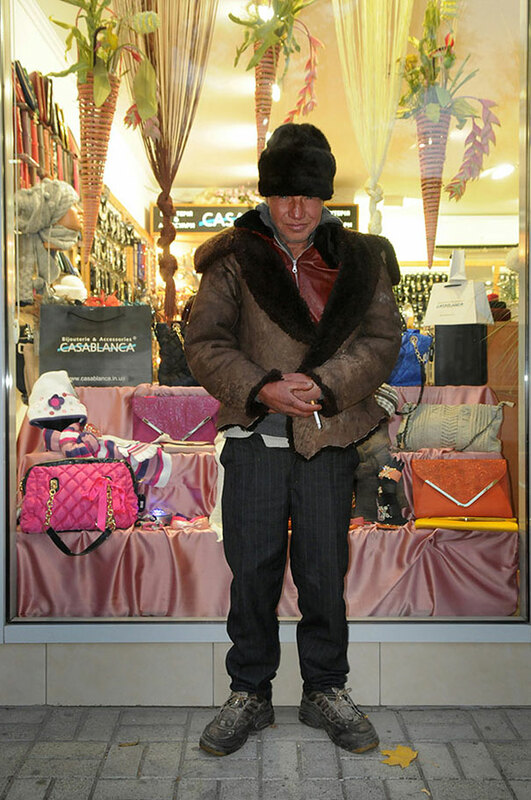 His way of life is different from that of other homeless. 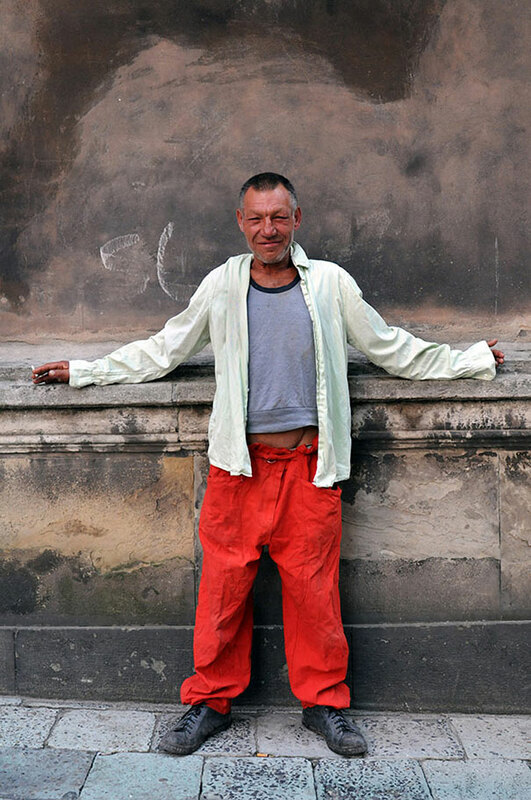 He does not carry lots of bags, nor does he rummage in the trash cans,” writes photographer Yurko Dyachyshyn, who befriended Slavik. 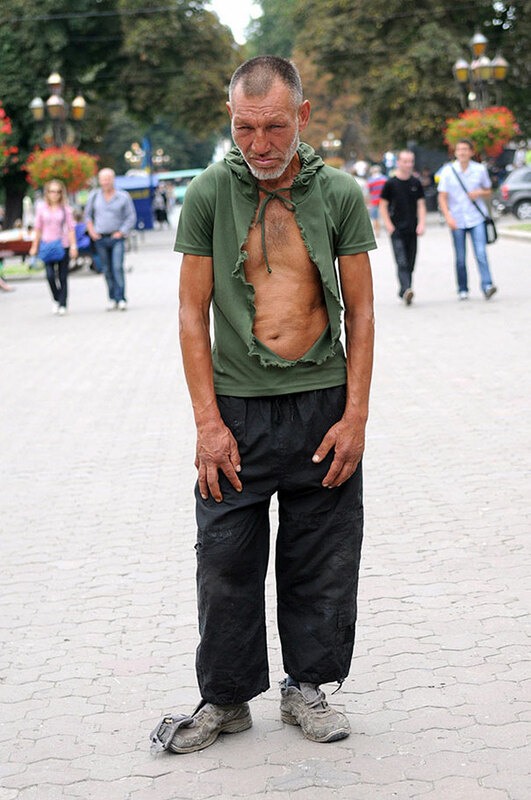 “The main thing is not to lose health, and it is essential that nobody ruins or interferes with a man’s internal peace,” Dyachyshyn writes, quoting Slavik. 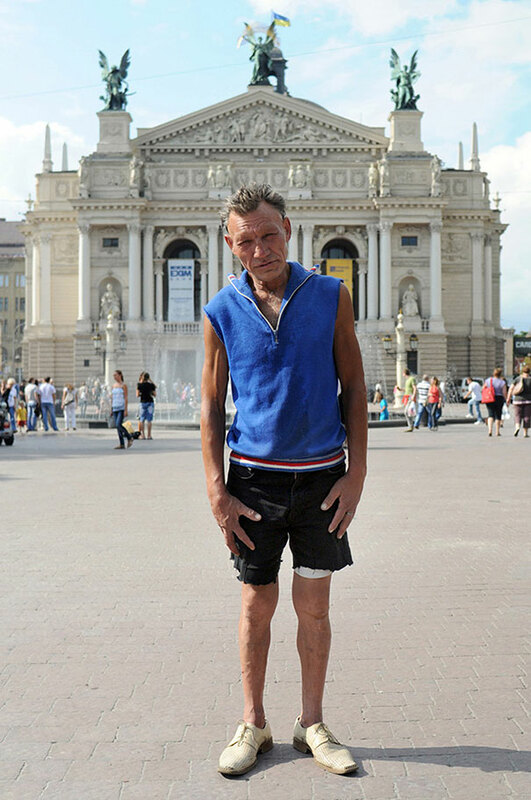 Unfortunately, Dyachyshyn has not known of Slavik’s whereabouts since January of 2013.